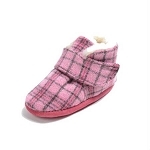 Whether or not your baby can actually walk yet is completely irrelevant; after all, babies still need to have warm and comfortable feet! Both of these needs will be met completely with a pair (or more!) 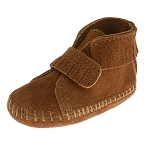 of Minnetonka moccasins for infants from Moccasins Direct. 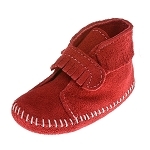 With an extremely wide range of colours and styles, the hardest decision for you will be when to stop ordering these adorable little shoes for your little one. 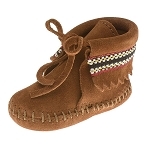 Not only are they durable and long-lasting for your baby, but they also make a fantastic gift for those you know who are expecting or have babies. 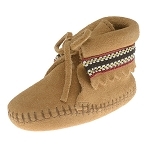 Who wouldn’t be happy with cute shoes for their children from Moccasinsdirect.com?